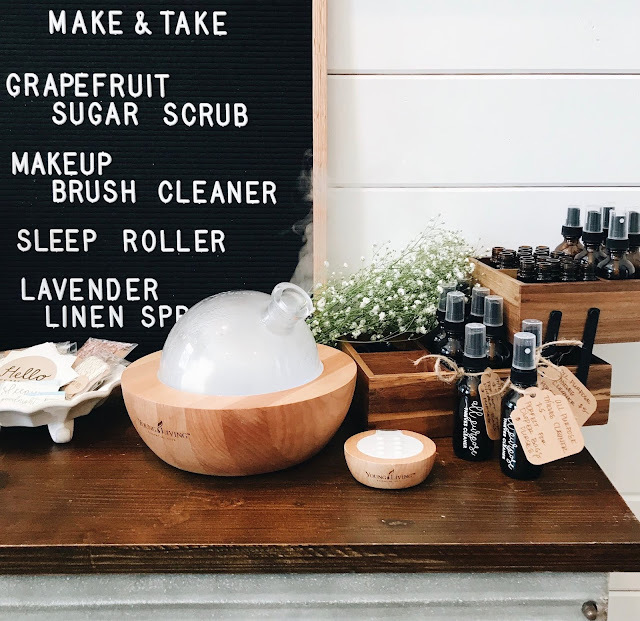 when you have essential oils, the options for creating your own beauty products, soaps, scrubs and gifting are endless -- and you can control exactly what goes in to them so you know they are safe for your whole family. 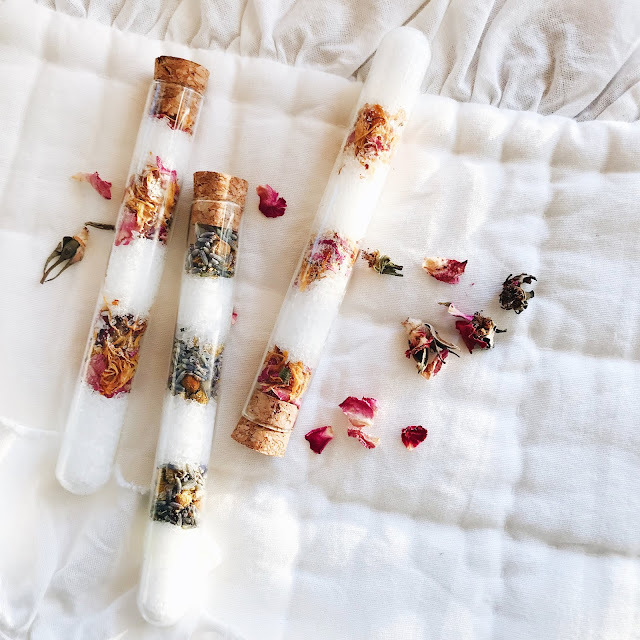 every few months I host a make & take for all my girlfriends to come over and use oils to make rollers, bath salts, soap and more, its such a fun way to share oils and my fav ways to use them! 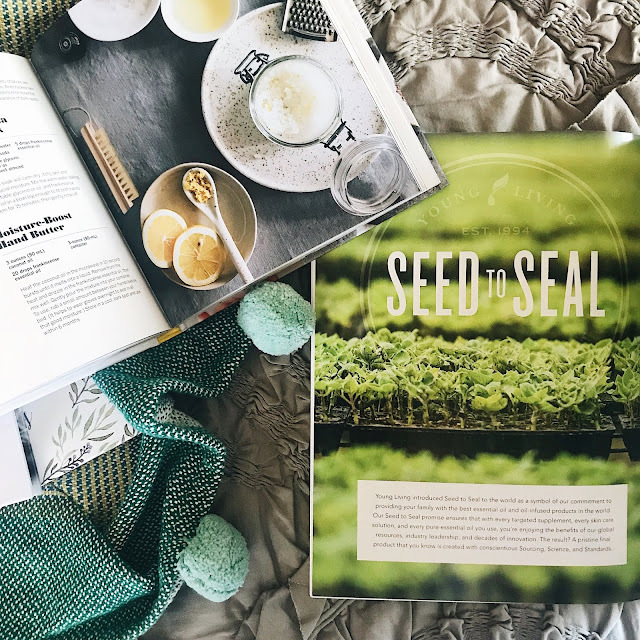 my favorite places to find recipes are in beauty & lifestyle books, on instagram and on pinterest. pinterest is a gold mine for oil info ;) below are a few of our favorite simple diys that are perfect for pampering yourself or gifting to friends! find all my favorite oil accesories here. in a small bowl, combine the following: 1 tbsp firm coconut oil + 1 tbsp liquid agave + 3 tbsp fine cane sugar. add yl oils of choice (I love using 10 drops peppermint + 6 drops grapefruit). mix well and store in glass jar. recipe makes enough to fill two 1 oz containers. these are perfect for gifting to girlfriends, hosting make & takes and of course, a little self-pampering. 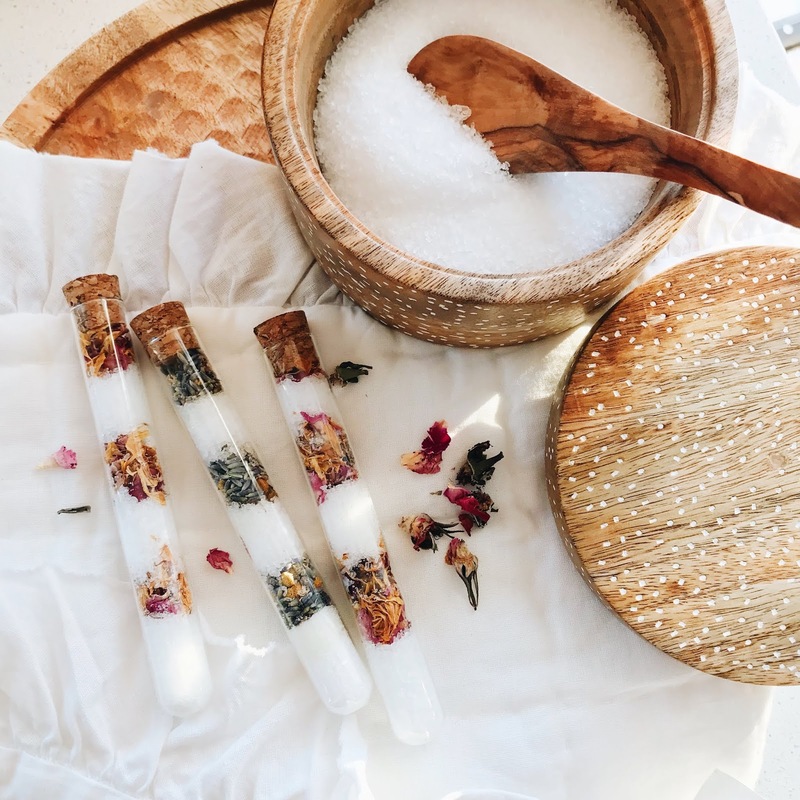 using glass test tubes, layer epsom salt, essential oils of your choice and dried flowers. pack tightly and seal well. gift a set of 2-3 with twine tied around them and pour into hot bath. our favorite oils for bath salts are: lavender, eucalyptus, peppermint & lemon. i make these in a 2 oz amber glass spray bottle with distilled water and a splash of witch hazel (which acts as an emulsifier) -- add your oils, witch hazel & water and shake to combine. shake well before each use. we keep these all around our home and they make lovely gifts when you add a handwritten tag and twine. the scent combinations are endless, a few of our favorites are below. in a foaming soap pump, add shower gel & vegetable glycerin. add thieves oil and fill nearly to top with distilled water. add pump, shake well and enjoy. fill to top with distilled water and shake well before each use. to use: lay makeup brush(es) on paper towel or clean washcloth, spray lightly and gently wipe brush between towel. repeat as needed. store brushes upright to dry and give them a good fluff before using. it leaves them smelling ahh-mazing, freh and clean and the combination of oils has both antibacterial and antifungal effects. I clean my brushes with it every 1-2 weeks. one of my favorites for a make & take and perfect for gifting in mini mason jars, just like linen sprays the combinations of homemade sugar scrubs are endless. i love using them in the shower in the mornings to wake myself up, after shaving my legs or to scrub & soften feet after a bath. combine 2 cups fine cane sugar and 2 cups firm coconut oil in the bowl of a stand mixer fitted with a paddle attachment. perfect for summertime, this freshens and brightens skin and smells like a tropical island. combine 1 cup solid coconut oil with 1 cup cane sugar, 15 drops lime essential oil and the zest & juice of 1 lime in a mixer fitted with a paddle attachment and blend on high until you achieve a nice light whipped consistency. add more coconut oil for a smoother scrub or more sugar for a coarser one. 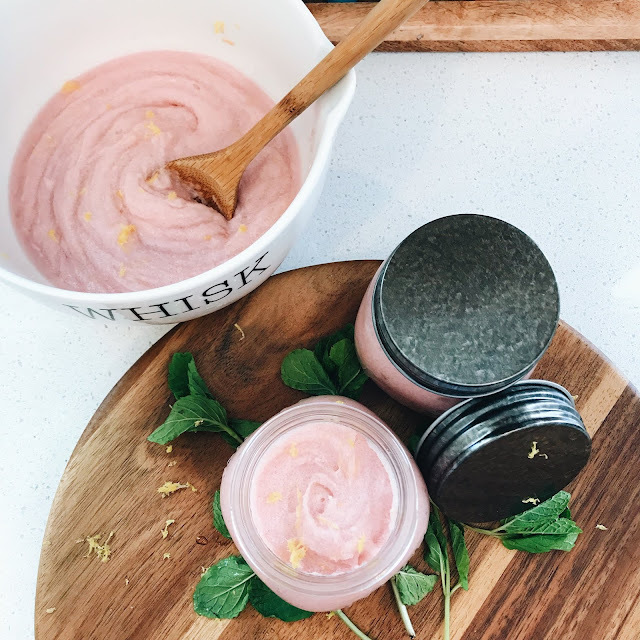 store in a glass jar (in the fridge) and use it for your face and body all summer long. one of our favorite ways to use yl essential oils in our home is with our three litle girls (5, 3, 18 months). they are our first line of defense for keeping them healthy year round, for boosting their immunity (especially during back to school season), supporting their sleep, navigating big emotions, directing behavior, soothing little tummies, supporting all kinds of moods and more. seedlings wipes // perfect for baby from head to toe but also double as a quick makeup remover for mama and safe dryer sheet (did you know traditional dryer sheets are one of the most toxic products in a person's entire home??). they smell so dreamy, are so soft and get skin clean without overdrying. 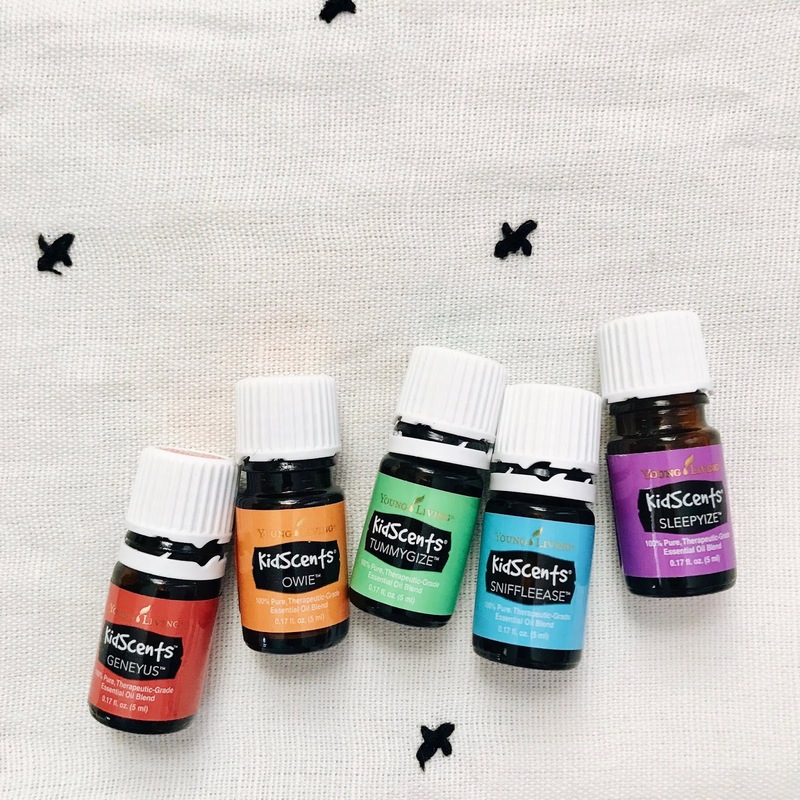 kidscents oils // young living offers a line of 5 different oils formulated specifically for little ones, pre-diluted and ready to roll right on. these are oils we always keep on hand at home and in my diaper bag on the go -- and we reach for them for ourselves just as much as for our kiddos. geneyus // supports focus, concentration and is very calming when diffused. I diffuse it while olivia (5) is working on projects, building lego sets or doing art. I also let her roll it on to her wrists and behind her ears. 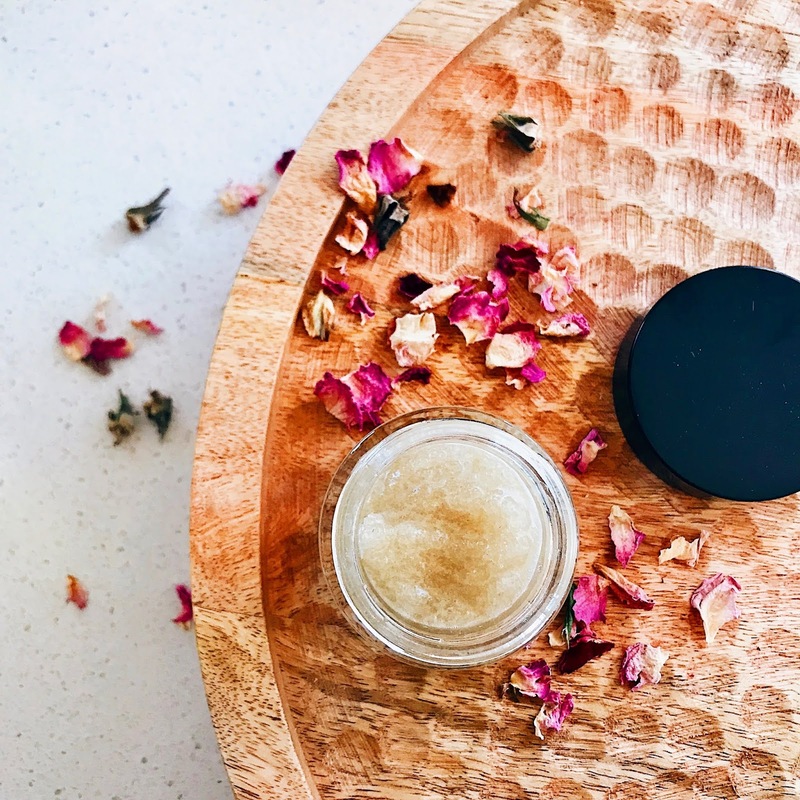 owie // one of the oils we order almost every month, we add a roller fitment and roll this on every bump, bruise, scrape, cut, scratch and burn. it has also had a dramatic effect in minimizing scars in our kiddos. tummygize // perfect for applying to tiny tummies whether to support regular digestion or soothe upset. 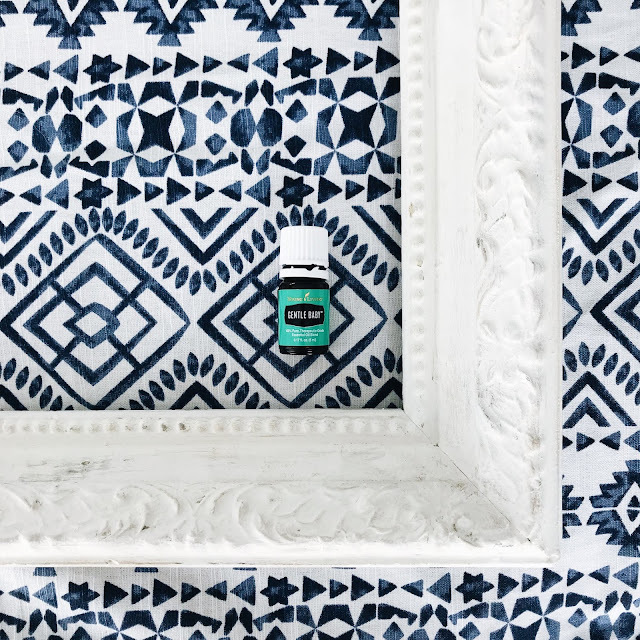 sniffleease // we love to diffuse this during cold & flu season and roll it on the bridge of the girls' noses or over their sinuses and forehead. it can also be applied to their chest and back. 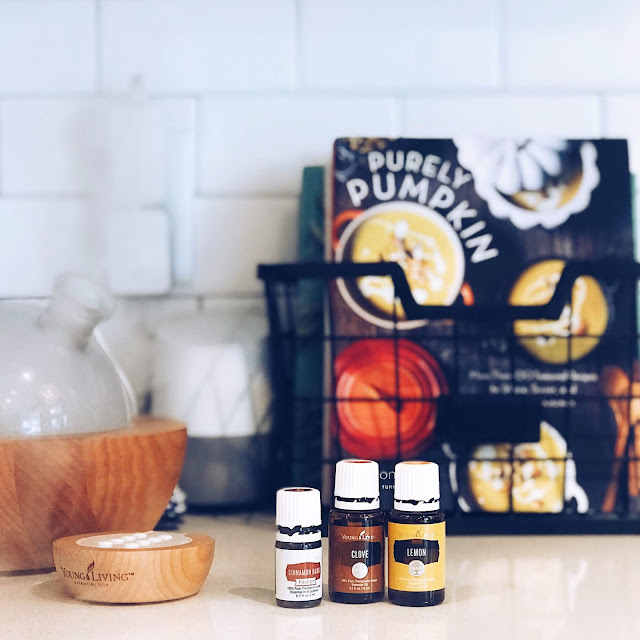 sleepyize // two of these are in our er order every month, they are one of the girls' favorites in the diffuser at bedtime and my favorite too because somehow they make my kids sleep when nothing else does. in addition to diffusing, we roll it along their spine, behind their ears and on their wrists at bedtime. sleepy magic in a bottle. 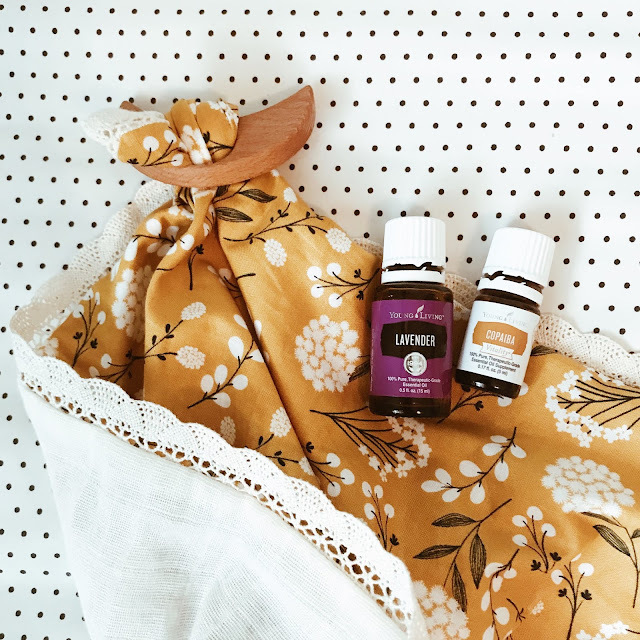 gentle baby // incredibly calming for babies and parents, gentle baby is one of the first oils I'd recommend outside the starter kit and a perfect gift for any mama to be. it's also known for its amazing skin support, especially on stretch marks during and after pregnancy. it has a very soft, lightly floral scent that just reminds you of a sweet little babe. peace & calming // in the girls' diffusers every other night, this is my go-to relaxation oil that I always keep stocked. I put it in their desert mist diffusers about 30 minutes before bedtime, let them each choose the diffuser light color and nearly fall asleep with them every time. so so dreamy. cedarwood // another favorite for sleep (and major respiratory support! ), this is my go-to addition to sleep sprays and rollers. I love pairing it with lavender and then a citrus (usually tangerine, orange or bergamot -- all of which have calming properties). it also blends well with floral oils, cypress and eucalyptus. another perfect one to order right after your starter kit. lavender // all the calming, relaxing, chill-out vibes come in every bottle of lavender. a favorite rolled onto or rubbed into the back of their necks (and mine) on hard days or in the midst of a meltdown. we love it in the diffuser paired with anything & everything (during cold & flu season we love lavender + lemongrass together at nighttime). we add it to their baths (with a little epsom salt) and I put a few drops in my palms every morning and run my fingers through their hair while it's still wet to coat their scalp. it sets them up for a calm start to their day and bonus: if your kids are in school or anywhere they will be around other kids, lavender repels head lice. tranquil roll-on // a must for little ones, this combination of lavender, cedarwood and roman chamomile was created for calming minds & bodies and is a favorite part of our bedtime routine. copaiba // a starter kit gem, this is one of my all-time favorite oils. it has a woodsy-balsamic scent that just reminds me of being at a cabin after a rainstorm. with its anti-inflammatory properties, it is an ideal natural solution for teething babies. rub it along their gums or apply behind their ears along down their jaw. we have loved keeping a bottle in our youngest daughter's nursery since birth. also known as 'er,' essential rewards is young living's autoship program which delivers a customized wellness box to your door each month. you pick what goes in it, you pick when it arrives and you get rewarded for what you buy. it's free to sign up and can be canceled anytime at no cost. we use essential rewards to get everything we need for our home & family shipped directly to us so we spend less time running errands and less money in the stores. think oils, cleaning products, beauty products and more. the best time to sign up for er is when you buy your starter kit, because it allows you to take advantage of all the er benefits from day 1. if you already have your kit and aren't on er yet, you can join anytime by logging in to your young living account and visiting the essential rewards page. it's never too late. in the first year, you will receive 4 bottles of oil just for being on er. in addition, you will earn rewards points on everything you spend. your earn rate is determined by how long you've been enrolled in er. so lets say you are on month 4, and you spend $100 (also known as 100 PV). you would earn 20 rewards points back to use like cash for a future order. you can save them up until you have over 100 (that's what I like to do) or you can spend them as you earn them. when I have around 150-200, I place a big order and stock up on the oils we go through the fastest (lavender, lemon, thieves, sleepyize, believe) and they're all free because of my points. pretty amazing. finally, on top of the 4 gifts and earning reward points, when you are on er, you have the opportunity to take advantage of what is known as a 'pv promo' each month. on the first day of each month, young living releases a new pv promo where you get young living products (both essential oils and non-oil products) free with your er order based on what you spend. the products are always in line with the season, for example, frankincense is usually included around christmas, lavender in the summer for lavender harvest, kidscents oils for back to school, etc. they are always amazing and it's so much fun to get free stuff just for ordering what our family needs. a 50 pv order per month is required to stay on er. the easiest way to make that happen is to cut back on what you are buying in stores and transfer that money to er. let's say you have a family of 5 like we do. on average, we were spending $25+ per week on household products (cleaning products, dish soap, hand soap, laundry detergent), beauty products (bar soap, face wash, moisturizer, scrubs, etc) and supplements/medicine (probiotics, multivitamins, antacids, pain relievers, etc). we stopped spending that in stores and instead, put that toward our monthly wellness box and that gave us $100+ to use each month on products that are actually safe and natural. and because only $50 (50 pv) per month is required, it can definitely be done even on a tighter budget or for smaller families. we love er and getting our box each month is one of our favorite mail days. i have been able to build up an incredible collection of oils and products that i might not otherwise have tried had i not received them free on er. i love being able to cash in all my points to buy what our family uses everyday and not pay for any of it. and not having to haul all 3 of my kiddos to the store every week for things that can be shipped right to me is pretty sweet too! 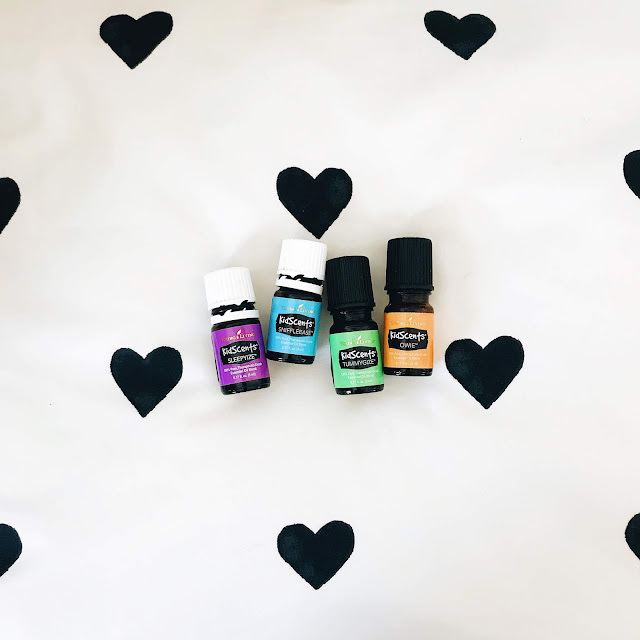 one of the most common ways to use essential oils is to mix them in rollers and apply them topically or create blends in your diffuser with a variety of oils that work well together and inhale them aromatically. 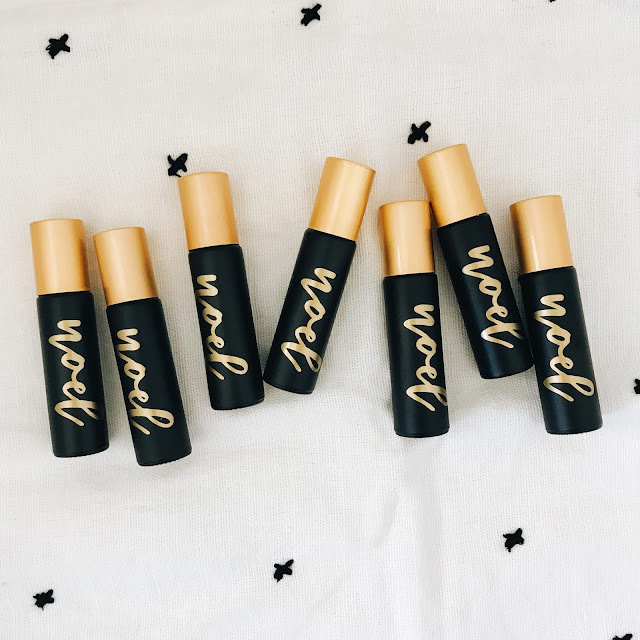 we love both of these methods because you have so much versatility with the blends you create and I love that you can customize them for exactly what needs you have! rollers are also ideal for kids since the oils will be diluted because they are made with a carrier oil. find our favorite oil accessories, including rollers, here. how to use: add oils to a 10 ml roller and fill to top with carrier oil. have your littles roll it onto their wrists & over their heart and help them roll it onto back of their necks. perfect to incorporate in to your morning routine and to pack in their backpacks. how to use: add oils to a 10 ml roller and fill to top with carrier oil. roll behind ears, on wrists and over heart. how to use: add oils to a 10ml roller and fill to top with carrier oil. 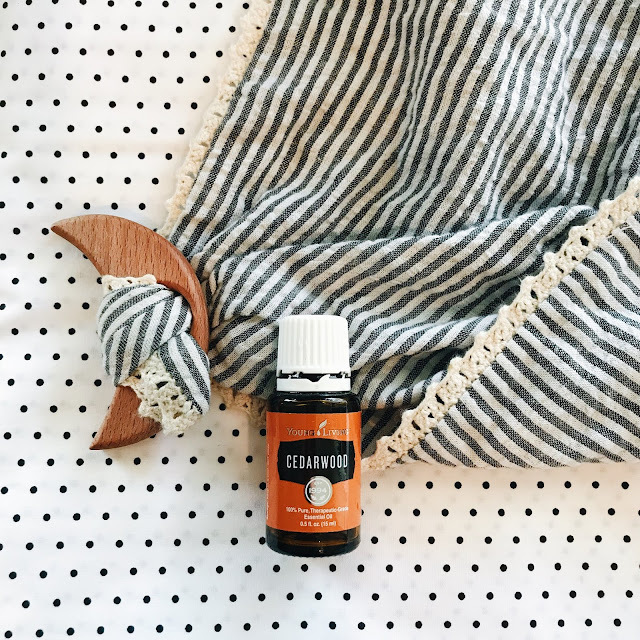 roll behind ears and down neck along jawline 2x-4x day to keep ears healthy and infections at bay; this blend is also great for easing ear aches during teething. how to use: add oils to a 10 ml roller and fill to top with carrier oil. roll behind ears, back of neck, over heart and on wrists. how to use: this is a must have in our home, especially for our daughters. we use it every day, sometimes multiple times a day depending on the season. add oils to a 10ml roller and fill to top with carrier oil. roll along spine and bottoms of feet. how to use: add oils to 10 ml roller and fill to top with carrier oil. roll onto bug bites to soothe itchiness. how to use: add oils to 10 ml roller, add a splash of witch hazel (natural toner and emulsifier) and fill to top with jojoba oil. use morning and night to sooth trouble skin, minimize blemishes and fine lines. how to use: add oils to a 10 ml roller and fill to top with carrier oil. apply along sides of nose, over sinuses and forehead for easier breathing and relief from seasonal changes. how to use: add oils to a 10 ml roller and fill to top with carrier oil. we love this as our girls head back to school each fall to keep them healthy as we head in to winter. we apply it along their spines and onto the bottoms of their feet daily. how to use: add oils to 10 ml roller and fill to top with carrier oil. apply as needed, clockwise over stomach. how to use: add oils to a 10 ml roller and fill to top with carrier oil. roll behind ears or on wrists and inhale deeply. we use this with our 5 year old and 3 year old and let them roll it on themselves and take deep breaths once its on. how to use: add oils to a 10 ml roller and fill to top with carrier oil. roll onto wrists, neck and feet before bed. how to use: add oils to a 10 ml roller and fill to top with carrier oil. apply on wrists and over heart. one of our girls' favorites for all the big feelings & at bedtime. below is a list of our favorite products outside young living that are perfect for all things creating, gifting, learning, growing your business and more as you dive in to essential oils. we would love to have you a part of the blessednest essentials community and joining is super simple! to get started, first visit this page. you will want to enroll as a member versus a retail customer. joining as a member gives you access to all the oils and every other yl product at wholesale cost -- this does not mean you have to sell or share oils, it is simply a way to get the oils for your family at a lower cost than retail and take advantage of other perks that membership offers -- including essential rewards, where you can select specific products your family loves, have them shipped right to your door and earn a percentage of what you spend each month back! once you buy a starter kit you are automatically a young living member -- which means you can purchase all your oils & fav yl products at wholesale; there is no extra 'membership' fee and your only requirement to keep your yl account active is to spend $50 per year. (which I promise you, you will do that without even thinking). after you click 'continue' you get to choose your starter kit! 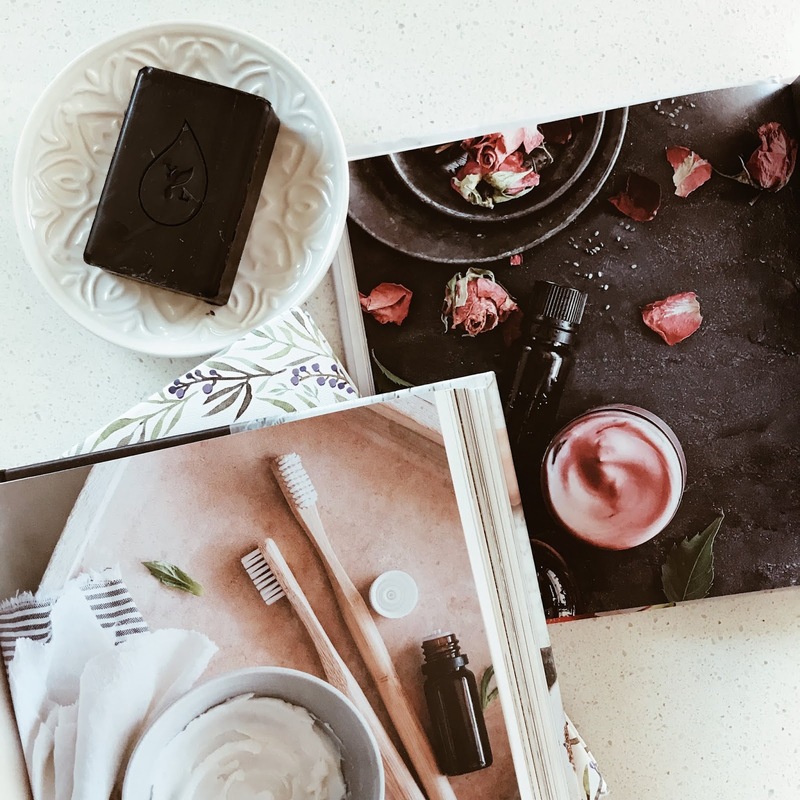 this is the first step in getting your hands on oils and a starter kit is an excellent way to get a range of young living's most popular oils at a price much lower than purchasing each of them individually. with a starter kit, you will also be able to select a diffuser for your home. 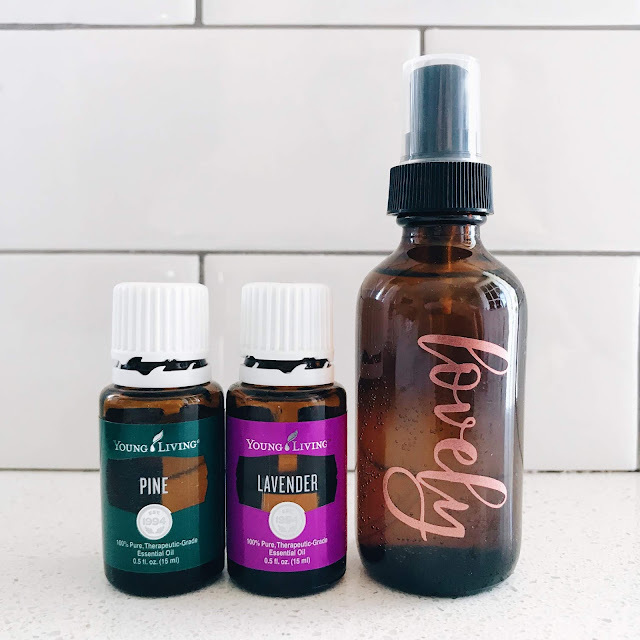 the premium starter kit is young living's most popular kit and comes standard with a dewdrop or desert mist diffuser, but you can also upgrade to another style if you prefer by selecting the corresponding box. you can also click any of the gray tabs to view the other starter kit options, including savvy minerals makeup!! lavender, frankincense, copaiba vitality, peppermint vitality, lemon vitality, thieves vitality, digize vitality, citrus fresh, raven, panaway and stress away, as well as a thieves household cleaning sample, ningxia red samples and a few other fun things to get you started. the value of the premium starter kit is well over $300, so it is a wonderful way to begin with the most commonly used oils at a significant savings ($160!!). next, you will have the option to join young living's essential rewards program, which is a monthly auto-ship program we love because I earn a percentage back on what I am spending (in the form of points to use to "buy" oils in the future at no cost; you can spend them as soon as you earn them or save them up for a few months and then place a larger order) as well as get different products for free every month as part of the monthly promotions. most months I earn over $100 in free products, which ultimately saves me from buying them and gives me an opportunity to try products I may not yet have in my daily line-up. it's a great way to stay stocked up on your favorite yl products while also trying a few new ones each month. you can add the products you want to your essential rewards order and set it up at the same time you are buying your starter kit so you don't have to pay shipping twice. when I first got started and bought my premium starter kit, I set up my essential rewards account as well and added some household basics such as thieves foaming handsoaps (one of our favorite YL products ever! ), thieves household cleaner, aromaglide roller fitments (to turn any of my oil bottles in to rollers) and a few other oils I knew I wanted that weren't included in the starter kit (cedarwood, tangerine, valor, etc). if you'd like to join the essential rewards program and take advantage of earning a percentage back, discounted shipping rates on your orders and getting free promotional product each month, you will click 'customize monthly order' under the essential rewards section. it will then take you to a monthly order catalog page where you can add your products either by typing in the item number or the name. a new page will open and you will see the product you were searching for with the name on the left and then the '+ add product' button in teal on the right. if this is the correct product you want to add to your order, click this and a new page will load. after clicking 'save monthly order' it will take you back to the page you were originally on and you will want to click the small box under the gray section that says 'confirm monthly order' -- this adds the previously selected products to your essential rewards order. you can enroll in essential rewards anytime but, a benefit of doing it as you are ordering your starter kit is that everything will ship together and you will get to start taking advantage of all the benefits from the very beginning. it will return you once again to the page you were previously on and you will click the teal 'next' button. after doing that, you will reach the 'information' page, where you will enter your name, address, etc. here is where you will also create a username and password for quick log in, as well as a 4 digit pin number. finally, select the most fitting option under the 'commission processing information' if you plan to grow this as a business and would like to earn commission in the future. you can always select 'individual no social security number required' and add your SSN in the future should you need it. follow the final steps to confirm your order and then you will receive an email with your order details and membership information. you'll also get a welcome email from me inviting you to some private groups for our team and some happy mail to get you started! one of the main reasons we chose young living was because it goes so far beyond essential oils. I love that I can buy all my household products, supplements and body + beauty products directly alongside my oils each month. everything you are buying in stores now (think: countertop cleaner, bathoom and kitchen cleaners, supplements, makeup, hand soap, dishsoap, body soap, skincare, baby wipes and more) you can buy with young living -- and then stop buying it in stores. 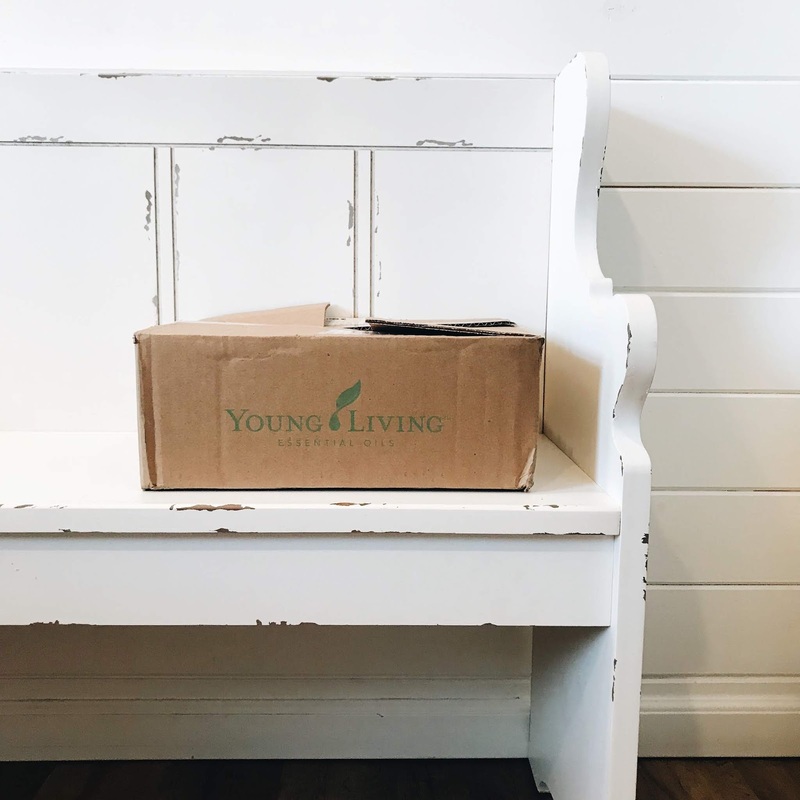 when you sign up for young living's free loyalty program, essential rewards, everything you need will be delivered straight to your door each month and you'll earn up to 25% back on what you spend (what store can say that?? ), plus everything is pure, safe and natural...so your family & your home will benefit. thieves household cleaner // one bottle of concentrated cleaner for your entire home. mix a capful in a glass spray bottle with water and you've got the best all purpose cleaner for every surface in your home. I no longer need to buy a toilet bowl cleaner + a window cleaner + a sink soft scrub + a shower tile cleaner (you get the idea). instead, I buy a bottle of this every few months and I'm set. plus it smells like the holidays, works well and is much less expensive than what you'd buy in stores. thieves foaming handsoap // available as a single bottle or in packs of 3, we keep a bottle of this in every bathroom in our home. our girls love foaming soap and it smells amazing. when I run out, I use thieves essential oil to make my own right in the foaming bottles. recipe can be found here. 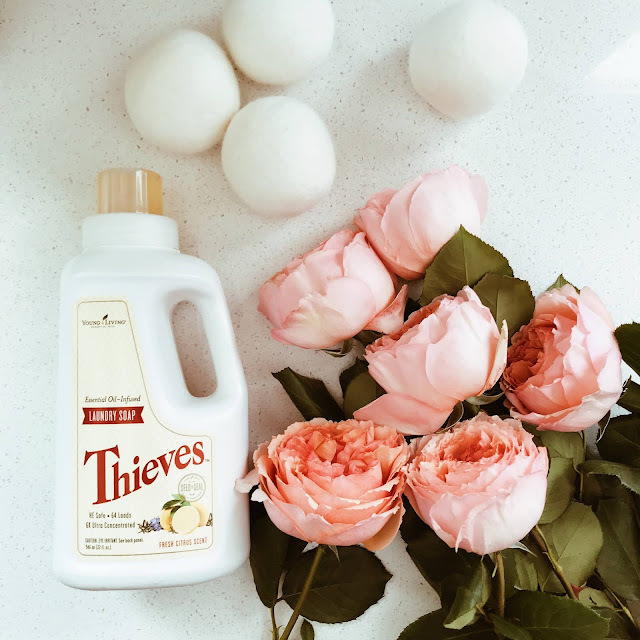 thieves dish soap // because the thieves line of products is so concentrated, you can dilute 1 bottle of dish soap to last you 4 months (yes, 4 months!! ), so I only need to order it 3x each year. I save so much money by not buying dish soap every 2 weeks when I'm at the store like I was before I started using yl's. simply pour 1/4 of your bottle in to a glass soap dispenser, add 1 teaspoon of baking soda and fill to the top with warm water, give it a good shake and you're good to go! thieves fruit & veggie soak // mix a capful with water and soak all your fresh fruit and veggies after you bring it home from the store or farmer's market and your produce will not only last longer, but is cleaner and safer to eat! there are many different essential oil companies to choose from but not all oils are created equal. 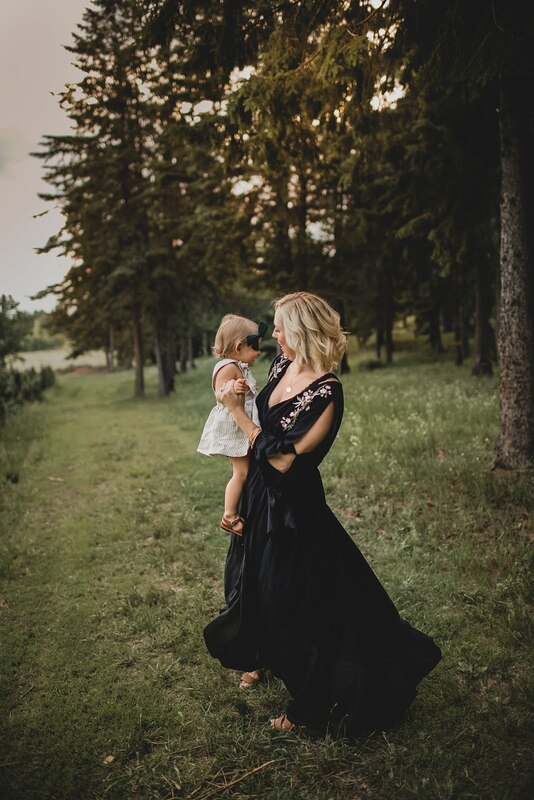 it is so important to do your research before buying just any bottle of essential oil, especially if you plan to use it around your little ones. 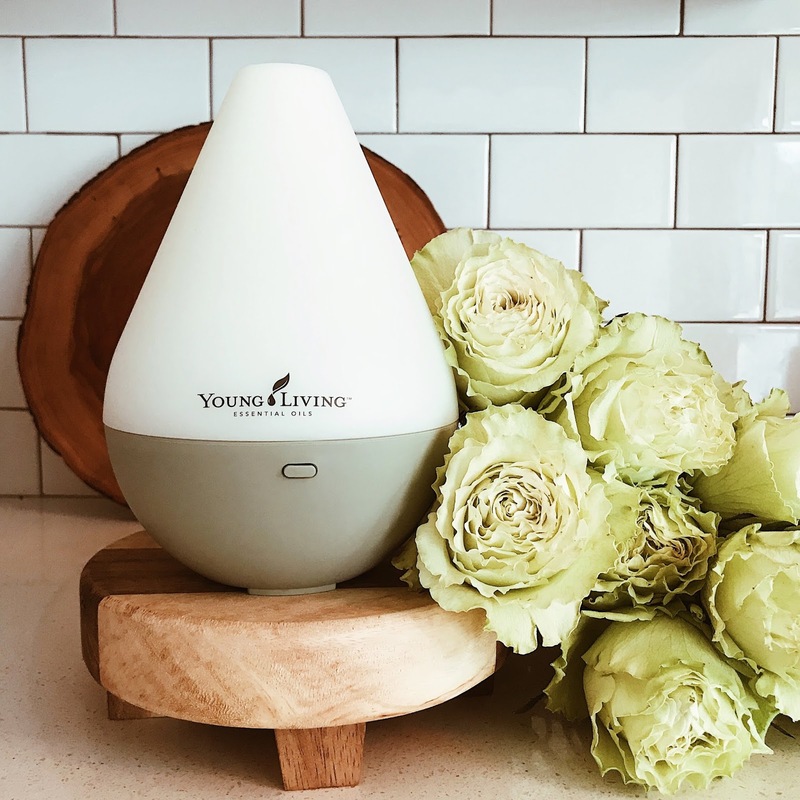 as the world leader in essential oils since they first came on to the market in 1994, young living’s vision is to bring the life-changing benefits of oils to every home, every family and every lifestyle. you can find essential oils just about everywhere these days — including health food stores, co-ops, fitness centers and more. but did you know that very few are actually pure, therapeutic oils that contain the benefits that young living’s do? if you’ve tried oils you picked up from the grocery store and feel like they aren’t working (or you hate how they smell), its probably because they aren’t. often, synthetic chemicals are added to the oils you find in stores, even when their labeling says “pure.” not only are they not actually pure, they could be harmful. once you switch to (or start with!) young living, you will notice a difference as great as in the quality and how many drops you need for a therapeutic effect to as simple as how they smell. something else I love about young living is their transparancy of where each oils comes from and their seed to seal guarantee. young living owns their own farms, both in the united states and around the world -- and anyone can visit the farms to participate in both the harvest and distillation process. 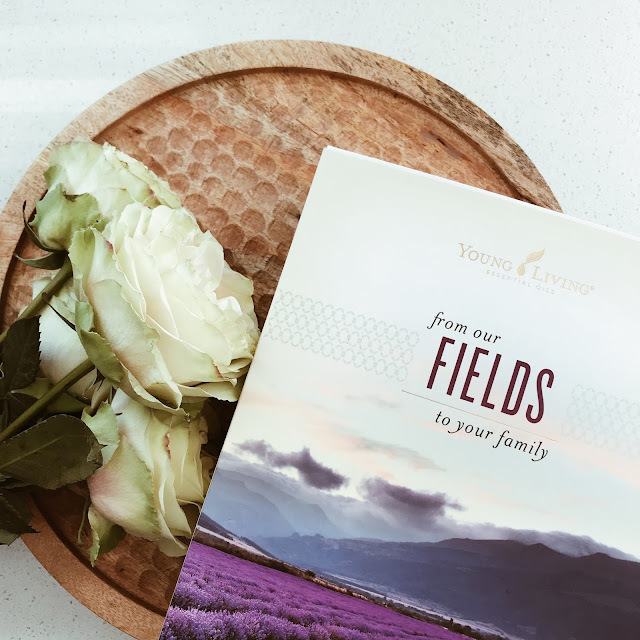 in the front of each young living catalog, you can read about each of the farms and learn which oils come from where as well as see photos from each location. I love knowing exactly where each oil is beginning, especially because it will be brought in to my home and used on my daughters. each batch of young living’s essential oils is rigorously tested both in-house and via 3rd party testing. at young living farms, weed control is done by hand and all the pest control is done with essential oils!! finally, I love that young living offers such an extensive list of single oils, oil blends and products that reach far beyond oils. their thieves line has become a staple in our home for all things cleaning and their bar soaps, face washes, shampoos & more have replaced everything we used to buy in stores. with over 20 years of experience and research, and the largest selection of products of any oil company out there, young living is a natural fit for our family. we are so thankful for a company that goes above and beyond to make such incredible, safe plant-based products available for families all around the world. redeemed. spoken for. mama of 3 little girls. lover of simplicity, minimalism, iced mochas and all things floral. blogger @ a blessed nest. passionate about pursuing a natural lifestyle that positions my family to thrive. sharing why we love and how we use essential oils in our home & family. come join us!